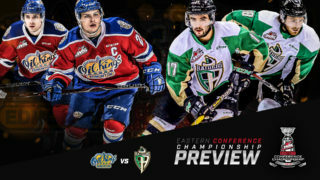 Warman, SK – A third-period surge lifted the Saskatoon Blades past the Prince Albert Raiders in a wild 8-6 affair at the Legends Centre on Saturday night. Leading by one going into the final frame, the Raiders were unable to contain the trio of Cameron Hebig (2g-3a), Connor Gay (1g-4a), and Nick Zajac (2g-3a) who each recorded five point nights. 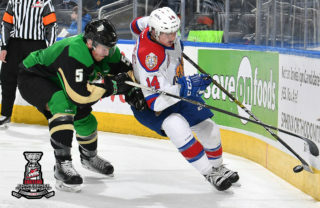 The Blades managed to score four goals in the first 10 minutes of the third period, giving them a three-goal lead they would not relinquish. 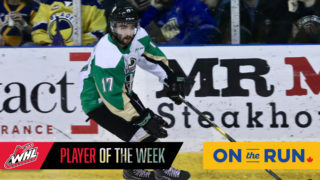 Simon Stransky (2a) and overage forward Craig Leverton (1g-1a) each notched a pair of points to lead Prince Albert. Nine Raiders picked up a single point in the game, including goals from Cody Paivarinta, Sean Montgomery, Tim Vanstone, Parker Kelly, and Dalton Yorke. The five-point efforts of Hebig, Gay, and Zajac highlighted the scoring performances by the Blades on Saturday night. 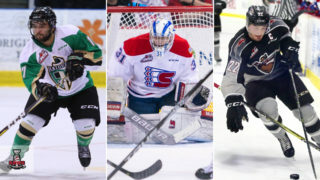 Luke Gingras as well as defencemen Libor Hajek and Mitchell Wheaton also scored for Saskatoon. 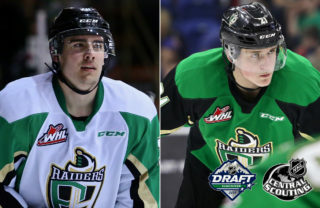 The Raiders’ goaltending duties were split between Ian Scott and Curtis Meger. Scott made the start and stopped 11 of the 13 shots he faced, while Meger allowed 10 saves on 16 attempts. Nik Amundrud played all 60 minutes for Saskatoon and made 23 saves. The Raiders and Blades each recorded 29 shots on goal. Prince Albert went 1-for-8 on the power play, while Saskatoon was 3-for-4. Prince Albert slips to 0-4-0-0 in the pre-season, while Saskatoon improves to 2-1-0-0. 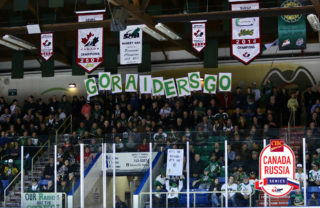 The Raiders play their next home game on Friday, September 18 as they welcome the Regina Pats to the Art Hauser Centre. Puck drop is 7:00 PM.